Information Minister Hasanul Huq Inu on Tuesday said all freedom fighters should be allowed to write the title "Bir" (hero) before their names as it was a matter of courage to join the Liberation War in 1971. "I will request the Prime Minister to allow all freedom fighters to write 'Bir' before their names," he said and urged the commanders of Muktijoddha Sangsads to raise their voice in this regard. The minister was speaking as the chief guest at a function organized by Narayanganj District Council to hand over cheques for honorarium to freedom fighters, BSS reports. Presided over by Narayanganj District Council Chairman Abdul Hai, the function was also addressed by Narayanganj Muktijoddha Sangsad Commander Mohammad Ali, Narayanganj City Awami League President Anowar Hossain and District Council Chief Executive Kazi Meraj Hossain, among others. Hasanul Huq Inu said some people criticize him for speaking the truth. "I call a razakar a razakar, a Satan a Satan, an arsonist an arsonist. I must continue speaking the truth," he added. The politicians make compromises for power and they do not hesitate to make alliances with razakars and devils to go to power, he said, adding that he was out of power for long as he could not do that. He said the killers of Bangabandhu resemble the killers of 1971. The razakars got privileges during the military rules when the history was distorted and the killers were awarded. 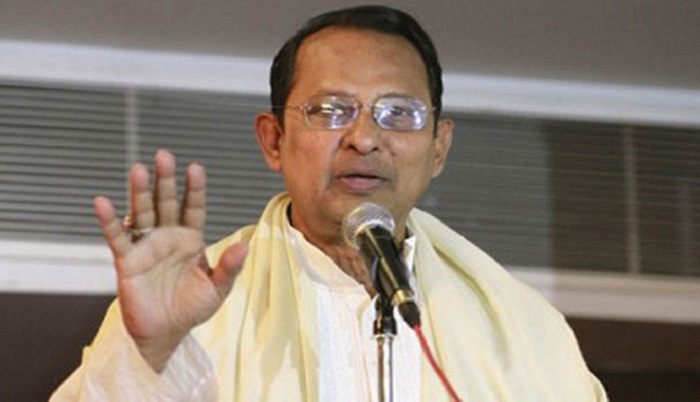 0 Response to " Raise voices for using 'Bir' before names of freedom fighters: Inu "